The sea buckthorn plant has been used for thousands of years for its highly potent and effective blend of essential fatty acids, vitamins, and nutrients. 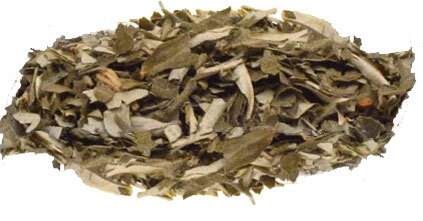 All parts of the plant have been used to create a variety of products. However, the actual sea buckthorn berry and its seed are what make the sea buckthorn plant so special, so it is important to make sure to take the appropriate product to experience all the benefits sea buckthorn has to offer. Sea buckthorn oil is by far the most nutrient-dense product derived from the sea buckthorn plant. It is created from either the seed or the berry (or a combination of the two) and has everything the sea buckthorn plant has to offer in a super concentrated form. It contains all the important essential fatty acids, high levels of vitamins A and E, flavonoids, and tocopherols. While all the nutrients are important to improving health, the essential fatty acids (Omegas 3, 6, 7 and 9) are what make sea buckthorn an effective tool for gastrointestinal, dermatological, cardiovascular and overall health. Other sea buckthorn products do not provide all of these benefits, however. Learn more about sea buckthorn health benefits at our main page here. 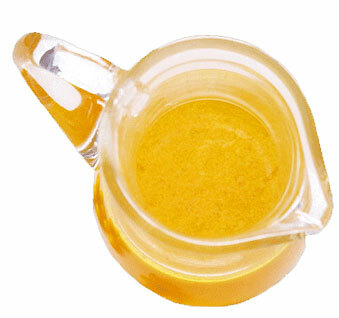 Sea buckthorn juice is a very popular product being sold. However, it does not have many of the properties of the oil. While it is made from the sea buckthorn berry, it loses many of its nutrients when it is being manufactured. Sea buckthorn berries are extremely acidic, thus, very sour and nearly impossible to consume on their own. To make sea buckthorn juice, the berries are crushed, diluted with large amounts of water (usually 5:1 or more) and then sweetened with various forms of sweeteners or other juices. Products that claim to be 100% juice can still only contain a small percentage of pure sea buckthorn juice. In fact, Federal government regulations allow a product to claim to be 100% juice as long as the only other added ingredient is water. That means a product can contain only 10% juice from the fruit and 90% water, and it’s perfectly legal to be called 100% juice. Sounds wrong? I was surprised too when I first found out about this. So be very careful when selecting a sea buckthorn juice product. They usually only contain low levels of essential fatty acids that make sea buckthorn so special and the benefits they do provide, such as high vitamin C content, are greatly diminished. 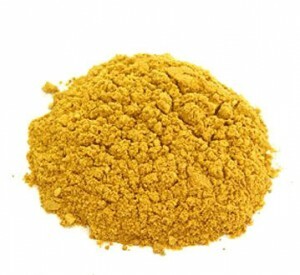 Products made from sea buckthorn powder/sea buckthorn extract can also be found on the market that are inexpensive compared with products made from the oil. They are usually made from crushed dry berries/leaves/branches or the extract of such, after the oil has been extracted out of them. Therefore they contain little or no essential fatty acids, such as the rare Omega-7 or many other nutrients that makes sea buckthorn so effective at improving health. While it may still contain some vitamins and nutrients and is cheaper to buy, you are really missing what sea buckthorn can truly provide. When you see a product containing sea buckthorn juice powder, our advise is don’t buy it. It’s usually used to make soft drinks. The term juice powder implies that it can dissolve in water and be made into a juice. To achieve that, it cannot contain any oil. So no essentical fatty acids, such as omega 3, 6, 7 & 9 are present. To make things worse, a large amount of maltodextrin must be added to the product. Most likely they don’t want you to know the percentage because it is very high, usually over 60% of maltodextrin is needed to make the powder dissolve well in water. While sea buckthorn juice powder can still contain a good amount of vitamin C, in my opinion, the maltodextrin negates any remaining benefits. Sea buckthorn tea is also a widely available product. It is composed of the dried and ground leaves and branches of the sea buckthorn plant. It contains good levels of flavonoids and minerals, but few of the other nutrients present in sea buckthorn oil. Therefore, it lacks the dermatological and vision benefits of vitamin A as well as the numerous tissue, anti-aging and soothing properties of the essential fatty acids. After considering the options, it becomes clear that sea buckthorn oil is the best sea buckthorn product available. It provides vitamins A and E, flavonoids, tocopherols and, most importantly, very high levels of essential fatty acids (Omega 3, 6, and 9 and the rare Omega-7). This potent combination is what makes it such an effective tool for improving health. Click here to read about choosing the best sea buckthorn berry oil. If you click on one of the sponsor ads you see on our site, one of those companies may sell it or may be able to send you in the right direction. Thank you so much for this article! It opens my eyes to the effectiveness of not only sea buckthorn but other products. Thank you again! Need to know the prices and phone numbers where to get it.